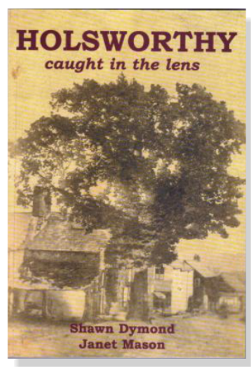 Using many previously unseen photos and archive material, this book endeavours to take the reader on a journey through time - travelling through the market town of Holsworthy from the advent of photography to the middle of the twentieth century. 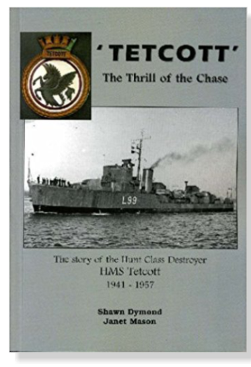 Spending almost her entire service life in the Mediterranean, it is the story of a lucky and, predominantly happy ship, brought to life by the inclusion of memories and anecdotes of some of her crew - many of them humorous, whilst others portray the darker side of war. Giving the reader an introduction and overview on each subject, these books have always proved popular! The stories found within the pages of these books are of interest to anyone with a passing interest in our social past. They reflect the period in which they were written, and even today, as we read the stories through our 21st Century eyes, many will touch the emotions of the reader - from sadness and pity to amusement and even surprise. Contact us (via our Contact Form Here) with your requirements and you preferred payment method (See Below). We will send you (by email) an invoice for the total amount due. Our preferred method to receive payment is via PayPal, however we accept all major payment types. Debit and Credit Card payments are completed via PayPal. Bank Transfer (BACS), Money Orders and Cheques accepted, but funds must clear prior to shipping. BY PURCHASING A BOOK FROM HOLSWORTHY MUSEUM, YOU'RE HELPING KEEP THE MUSEUM OPEN!